Ankle Sprains and Fractures: Ankle sprains are common in many sports, and involve tearing of one or more of three flap-like ligaments that support the outside of the ankle when the foot rolls inward. Sprains of the inside of the ankle do occur when the foot rolls outward, but this injury is far less common due to the stronger nature of the inner side ligament. During an ankle sprain, the foot will roll in one direction further than the strength of the ligament resisting this motion will allow. This results in a partial tearing of one or more of these ligaments. Plantar Fasciitis: One of the most common foot injures in athletes and sedentary people alike, plantar fasciitis involves inflammation and microscopic tearing of a broad band of tissue (plantar fascia). This tissue runs from the heel bone to the ball of the foot. It is seen primarily in people with flat feet as well as those with high arches. Flat feet cause chronic stretching of the fascia, while high arches allow for poor shock absorption leading to fascia injury. Stepping on hard, blunt objects like a rock or over-stretching the foot on a stair or ladder rung can directly injure the fascia, although these injury patterns are less common. The fascia can also rupture if the force of the injury is severe enough. Plantar fascial ruptures are far more common in sports injuries than during any other typical situation in which the plantar fascia becomes injured. The pain of typical plantar fasciitis is usually felt on the inner side of the bottom of the heel where it meets the arch, and is noticed after arising from a chair or bed, as well as after extended activity. This condition can persist for years if untreated, leading to a chronic state of scar tissue and thickening. Peroneal Tendonitis: The peroneal tendons are two tendons (one short, one long) that run behind the outside of the ankle from the leg and insert on the side of the foot and underneath the arch, respectively. These tendons help to roll the foot up and out, and are important to the walking cycle. When a strong force rolls the foot inward, or when activity on uneven surfaces (like gravel or a field with divots) goes on for awhile, one or both of these tendons can become inflamed, fray, or partially torn. Peroneal tendon partial split tears are quite common, although one can have a partial tear and not even feel it due to the flat nature of the tendon. The degenerative process affecting the peroneal tendons can take awhile to develop, but can be fairly disabling when it becomes severe. Jones Fracture: When a force is applied to the foot that twists it inward, a fracture to the base of a long bone on the outside of the foot called the fifth metatarsal can sometimes occur. This area is located on the part of the outside of the foot that has a bony bump most people can feel. It is closer to the ankle than to the little toe, where another part of that same bone forms a bump in some people. Just in front of this area is where the Jones fracture occurs. This fracture is usually accompanied by pain at this site, along with swelling, warmth, and bruising. Walking and standing become very painful, especially when the foot rolls inward during the initial way it strikes the ground when walking. Since the fifth metatarsal bone is fairly unstable, these fractures are notorious for not healing well. Most athletes elect surgery as the first means of treatment in order to return to their sport quickly, as cast immobilization can sometimes lead to lengthy healing times. Sesamoiditis: The sesamoids are two small egg-shaped bones found under the big toe joint, just behind where the toe meets the foot. Chronic, stressful activities such as high impact jumping or hard surface running can lead to inflammation and bruising of one or both of these bones. This bruising slowly develops over time, and continued stress will multiply the tissue damage. Eventually this damage may lead to stress cracks of the bone. Immediate injuries can even occur, causing outright fracturing of the bone if the injury force is severe enough, and this can also be seen with long term stress damage if the bone is weakened without relief. The pain of this condition is felt just underneath the big toe joint, usually in a very specific location. Pressure on the inside ball of the foot becomes painful, and running or jumping will become difficult. Unless a fracture has occurred, swelling and bruising are usually not seen. Stress Fractures: Any bone in the foot can be at risk for developing a stress fracture. Unlike a regular fracture, a stress fracture does not involve a true break across the bone, but rather an injury to the structure within the bone. Repetitive activities, such as running consistently on a hard surface, can lead to bone bruising, and then ultimately to a partial break in the honeycomb structure of the inner bone. Other factors include tight muscles that lead to abnormal foot functioning during intensive exercise, stiff, high arched feet, bone density or menstruation issues in women, and anatomic abnormalities. These injures are usually not seen on standard x-rays until after several months. The most common sports-related location of stress fractures in the foot are the long metatarsal bones and the heel bone. When the injury is untreated and at-fault activity is continued, these stress fractures have the potential to turn into full fractures. Turf Toe: Turf toe is an injury so-called because the pattern of injury usually involves the big toe striking the ground (turf) during a kicking motion, such as seen in soccer. The big toe joint has strong tissues surrounding it to keep the joint in place. Collectively known as a capsule, these tissues are essentially the combined ligaments that bind the two bones together that form the joint. When an injury occurs that forces the toe up, down, or off to one side, in excess of the strength of this capsule, a strain or partial tear will occur. Although the original turf toe described the toe flexing downward into the ground, it can be used to describe excess motion in any direction. In this condition, although the big toe will not dislocate as the tearing of the ligaments is only partial, it will become inflamed and quite tender to move. 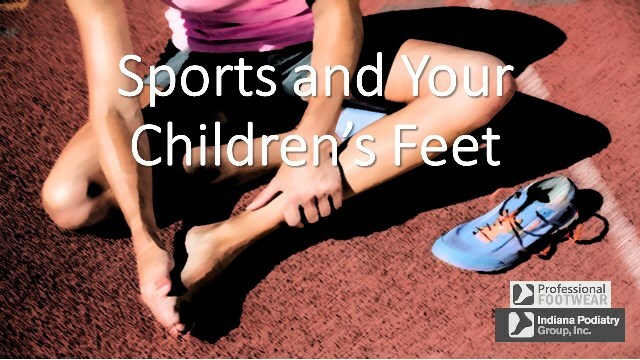 Since all walking and running requires the big toe joint to move upwards frequently, sports activity becomes quite difficult.